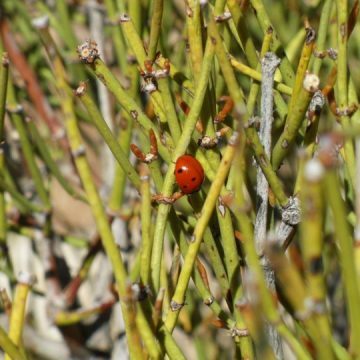 Ephedra Nevadensis is an American species of ephedra that can be found growing in many of the dry areas of the country, including the Grand Canyon. 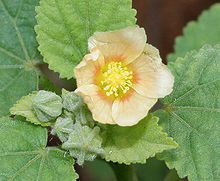 The plant is a common site as you travel deep into the canyon and can be found growing along the trails as well as in arbitrary locations about the various outcrops in the never-ending maze of rock. Ephedra Nevadensis has pale gray to bluish green stems shooting upwards like modified pine needles. 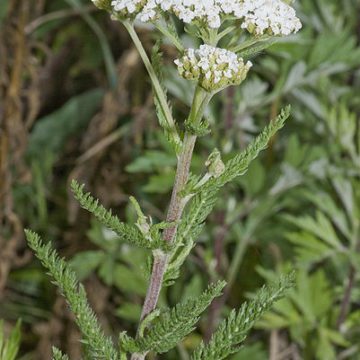 It was used medicinally by the Mormons and has adopted the name Mormon Tea. Indians also ground and ate the seeds, which resemble apple seeds, as food. Stems of the plant can be harvested at any time with care not to take more than the plant will be able to recover from. The evergreen shrub is often grown as an ornamental or landscaping plant and features clustery yellow flowers that eventually give way to little cones that contain the seeds. Like other evergreens of dry climates the cones can actually be triggered to open following wildfires as a means of species preservation. 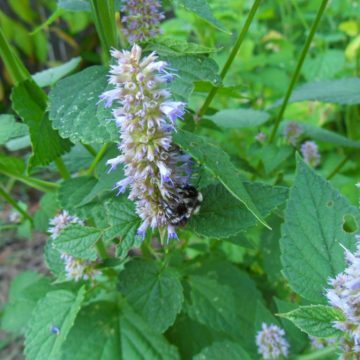 This species has both male and female plants and is usually wind pollinated. 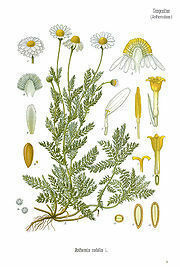 This species does well on dry or rocky slopes and is said to have antimicrobial properties. Much information indicates that the shrub can reach up to four feet in height, but we have seen natural specimens that have exceeded eight feet. 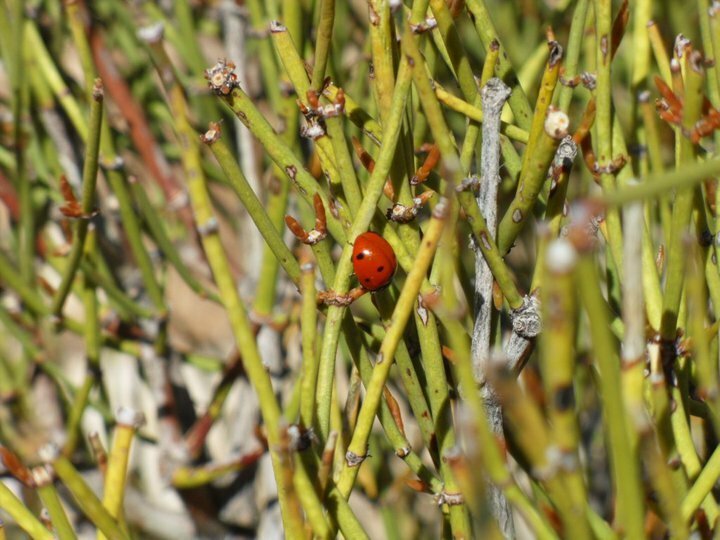 Ephedra Nevadensis can tolerate freezing conditions and is considered hardy to zone 6 (possibly zone 5). This is an American species. The American species of ephedra do not contain ephedrine. 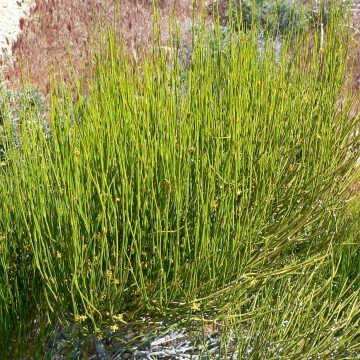 Growing Information: Ephedra Nevadensis requires a well-draining soil, preferably with a high sand content. Sow your seeds at a depth of about 1/8″-1/4″ and keep warm. Germination has a natural tendency to be a bit irregular but can begin in as early as two weeks if conditions are right. Ephedra nevadensis is a desert plant and so will enjoy plenty of sunlight. The soil does not necessarily need to remain dry as long as there is no standing water. Sprouts resemble grass, and may be slow to grow once started. Just remember that this is a desert plant, and as such it tends to take its time.